National Tyre Services Limited (NTS) profit for the year to March 30, 2018 jumped 175 percent to $117 851 from a loss position of $153 919. NTS attributed the growth to the company’s strategy to supplement direct sourcing with local supplies as well as pushing sales of premium products to improve margins. “The mix of budget and premium brands also ensured that out of stock situations were minimised,” said NTS chairman James Moyo in a statement accompanying financial results. At $251 688, profit before tax increased 208 percent compared to a loss position of $232 725 recorded last year. Revenue for the year was 16 percent firmer to $13,8 million compared to $11,9 million achieved in the prior year. Basic earnings per share grew 183 percent to 0,05 cents from basic loss of 0,06 cents. Total assets grew by a marginal 1,3 percent to $7,887 million. During the period under review, the business environment remained challenging due to foreign currency shortages, although there has been renewed interest from investors following a change in the country’s leadership in November last year. 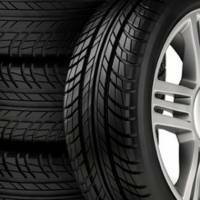 Foreign currency shortages have been an industry wide challenge including the tyre industry. The growing informal sector also had a knock on effect on the sector creating an uneven playing field. During the period under review, NTS continued to extend its full service offering across many branches to supplement new tyre business. A new branch in Harare was opened at Market Square which enabled the introduction of new services that is exhausts suspension on a pilot basis, a service which should be rolled out to other branches if successful. “Distribution footprint will be extended to cater for demand as traffic flows develop,” said Mr Moyo. In the outlook, NTS anticipates that the peaceful upcoming election will further create a favourable business environment which will work well for the firm. Availability of foreign currency will also remain a key success factor for the company and industry as a whole. The company did not declare a dividend.